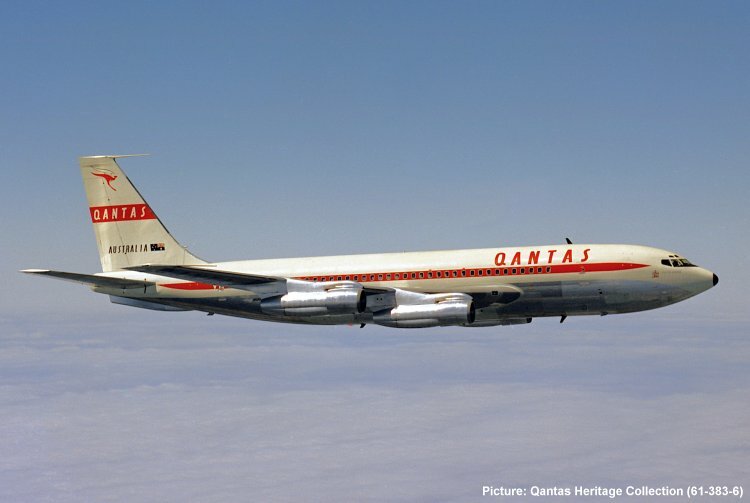 The first Qantas turbo-fan 707-138B VH-EBH City of Darwin on a pre-delivery test flight. The aircraft arrived in Sydney on 6 August 1961. This interim livery, which was worn by VH-EBH to VH-EBK, was soon replaced by the more familiar V-Jet livery.